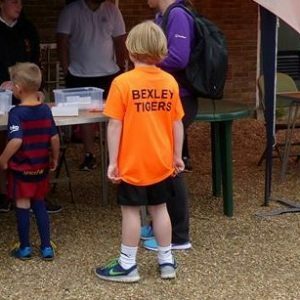 Bexley Tigers is our club for energetic and aspiring junior athletes, and provides a great way for children to explore the many disciplines of athletics including running, jumping and throwing. Bexley Tigers is for children in school years 3 – 5. 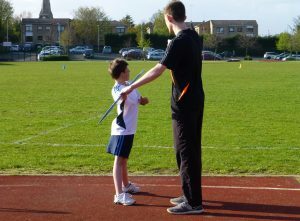 Qualified coaches lead the sessions ensuring that young athletes can learn correct techniques at an early age in a safe and encouraging environment. Many of our best athletes started as Bexley Tigers and have gone onto represent England in international competitions. Equally many young athletes have continued with us for the pure enjoyment of the sport which we accommodate at all levels. We train on a Sunday morning from 09:45 AM to 11:30 AM. 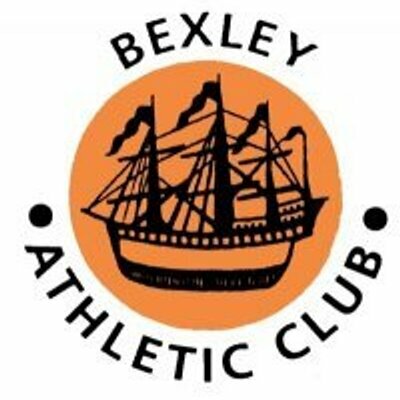 Membership of Bexley Tigers is just £35 per year, plus a track fee per training session of one token (see membership page for token prices). NOTE:- Tigers training on Sunday may occasionally be cancelled due to events taking place that require use of the track. We will do our best to give you as much advance notice as possible but please check our website and Facebook page regularly for the latest information. After Bexley Tigers – what next? Young athletes of school year 6 and above will progress to a group which is coached on a Tuesday and Thursday evening from 6:00 – 7:15 PM where they will learn more about training and competition, and start to focus on the disciplines that suit them best, encouraging them to realise their full potential in the longer term.